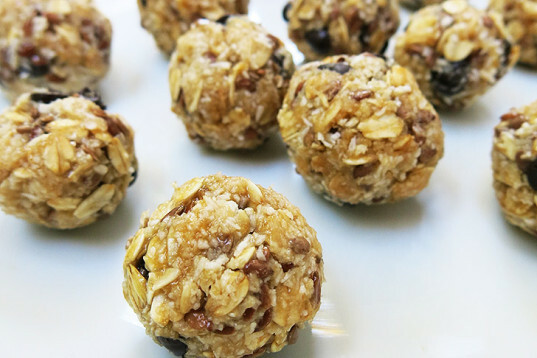 If you've been wanting to add more seeds or oats to your family's diet, these delicious vegan energy balls are the perfect snack for you. 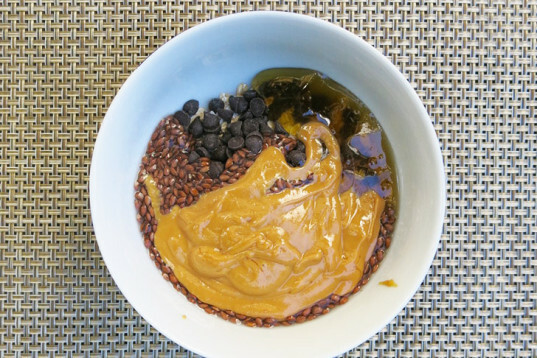 They are made from a sticky mix of oats together with seeds and some chocolate chips, maple syrup, vanilla drops and coconut flakes, blended in with sticky peanut butter. Make a batch and keep them in the fridge, have a couple for breakfast, a few over tea or take some with you before leaving the house as a pick-me up on-the-go. 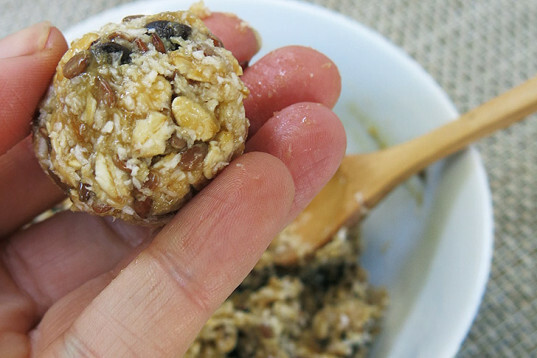 A yummy, energetic treat, they will give you a little lift to help you get through the day -- just like a packed energy bar but homemade by you! Plus, they are full of oats, which are the only cereal containing a legume-like protein called avenalin that is said to lowers LDL ("bad") cholesterol and possibly also reduce the risk of heart disease. Leave flaxseeds for at least an hour in water and drain. The gooey consistency will help bring the elements together, so don’t wash them after activating them. 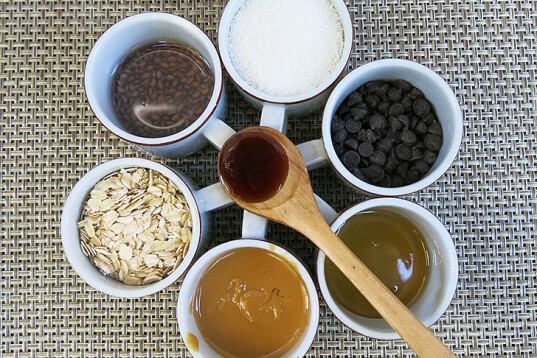 Mix all the ingredients together in a medium bowl, except for the oats. 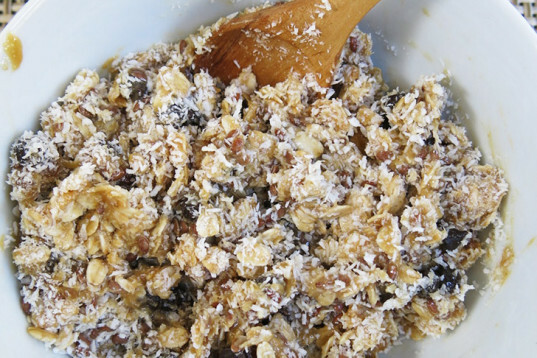 Add the oats and mix thoroughly. Cover and let it chill in the refrigerator for half an hour. With damp hands, make a ball taking a bit of the mix with a big spoon. Roll into a ball first pushing the mix together with the tip of your fingers, and then rolling a ball inside your palm, with both hands. Lay the balls on a plate or tray and cool again so they settle in shape. 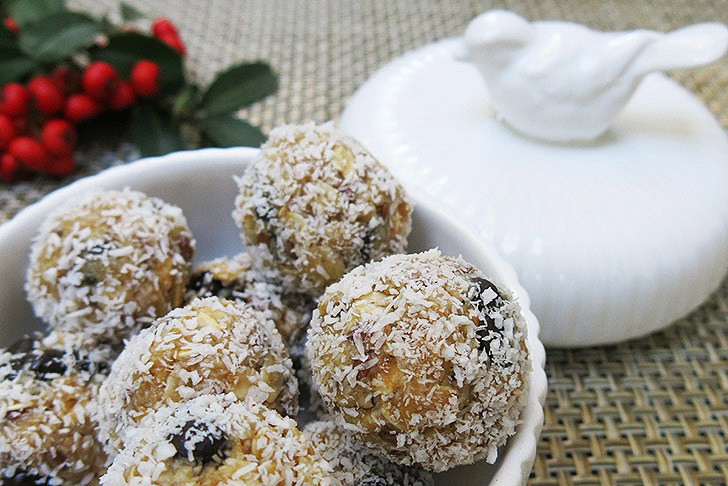 To give the balls a snowy appearance, roll them in coconut flakes. 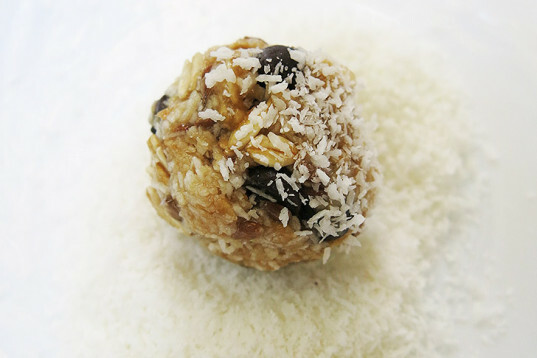 This recipe yields about 20-25 balls. Enjoy! 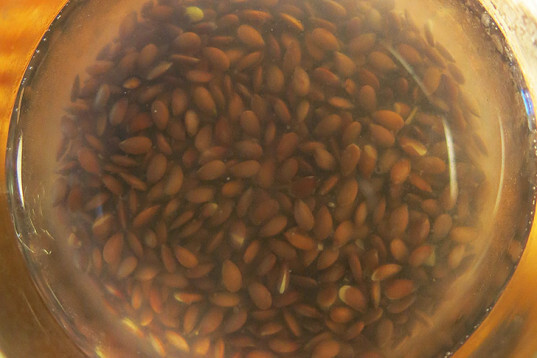 Leave flaxseeds for at least an hour in water and drain. The gooey consistency will help bringing the elements together, so don’t wash them after activating them.